Did Maria Ressa deliberately lie? BINASA KO YONG VERA FILES. THEY HAVE A FACT CHECK ON WHO OWNS RAPPLER. 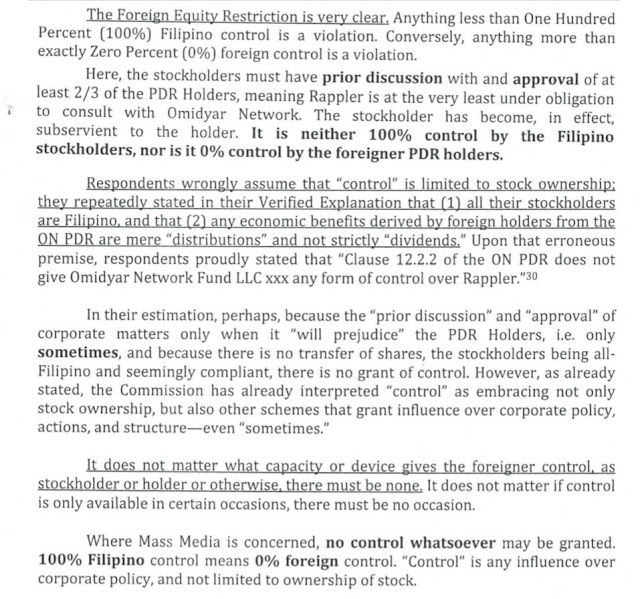 “In other words, walang control, walang say ‘yong owners ng PDRs sa (PDR owners have no control in the) day-to-day operations. They don’t have representation in the board, they don’t vote, they cannot decide on policy,” he added." Manloloko ang Vera Files. Akala nila, sila ang SEC. That's not the SEC decision. Kaya, wag kayong mag-papaniwala dito sa Vera Files na to. They too twist and withhold information para yong decision mo goes their way. In other words, sabi nang SEC, wala namang anything wrong sa issuance nang PDRs. 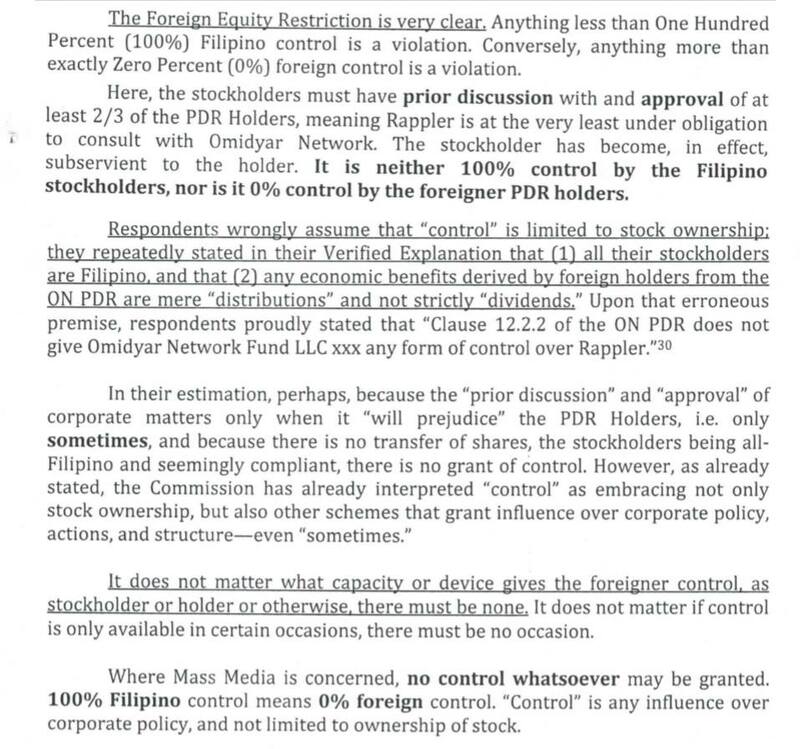 The problem was with the conditions doon sa PDRs na ini-syu nang Rappler to Omidyar Network, kaya ni revoke nang SEC ang registration nang Rappler. Eto po ang SEC decision.